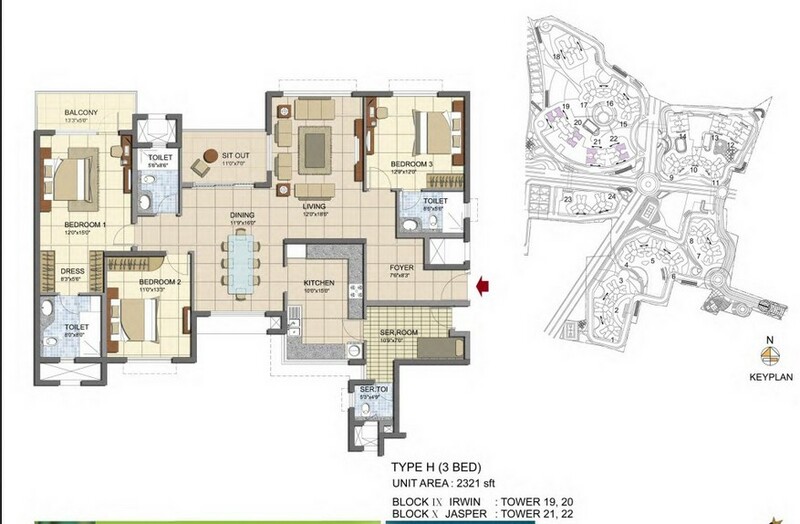 Prestige Lakeside Habitat the well constructed project from Prestige Groups at Whitefield, East Bangalore. This under construction Prestige Lakeside Habitat is only project with the Disney themed.Covering a total land area of 102 acres with 24 Skyscrapers, 271 independent Villas,and 4 Club Houses. Today, Whitefield receives a healthy demand for residential properties due to the availability of quality housing in all budget categories. 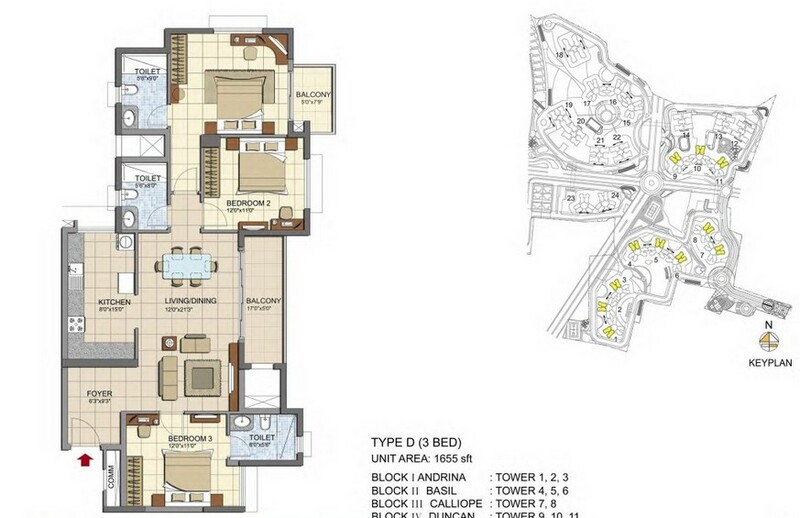 Investors get a host of options to choose from gated communities to villas and high-end apartments. 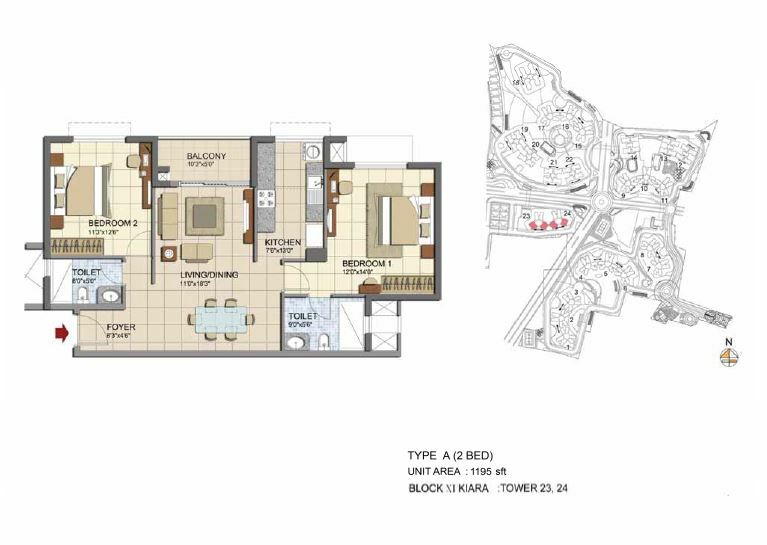 The locality witnessed a huge demand, especially from IT professionals and corporate houses, for 2 and 3 BHK units. The suburb works as a good choice for many in the city due to connectivity, the creation of a micro-market, proximity to workplaces and other social infrastructure. In addition to the Outer Ring Road (ORR) becoming a signal-free corridor, the 8-lane Peripheral Ring Road will be connecting Whitefield Road to other major roads. 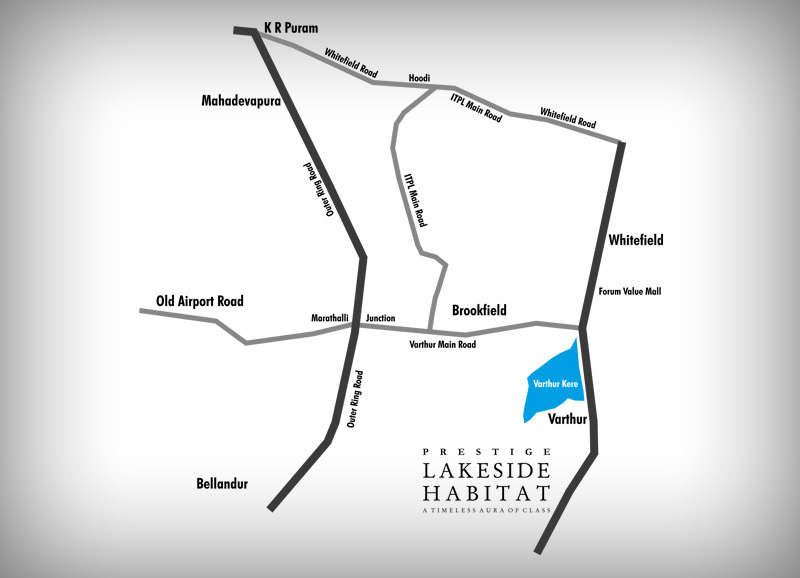 1) Where and what is Prestige Lakeside Habitat? Prestige Lakeside Habitat project is a Disney themed township in Whitefield Bengaluru with 24 Towers, set in 102 acres, having 19-30 floors with a total of 3426 apartments and 271 villa units. 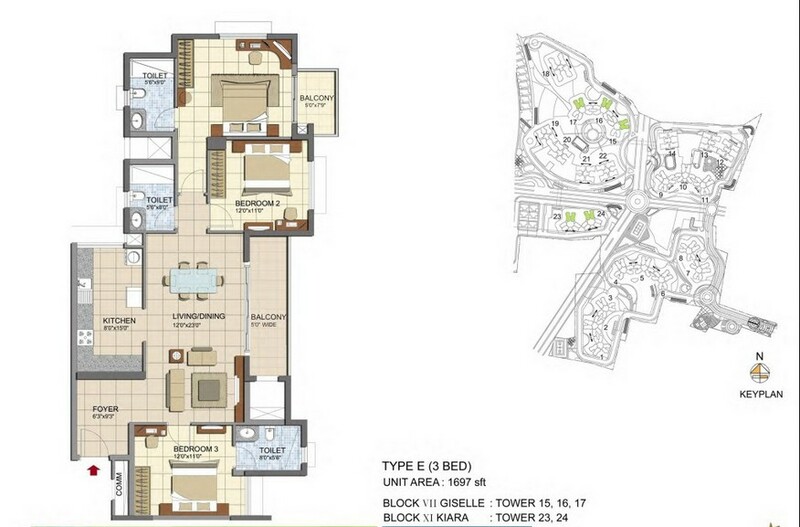 It consists of well planned mixed residential development. It is a strategically located in Whitefield, comprising of smartly designed villas and apartments with the best possible premium amenities. 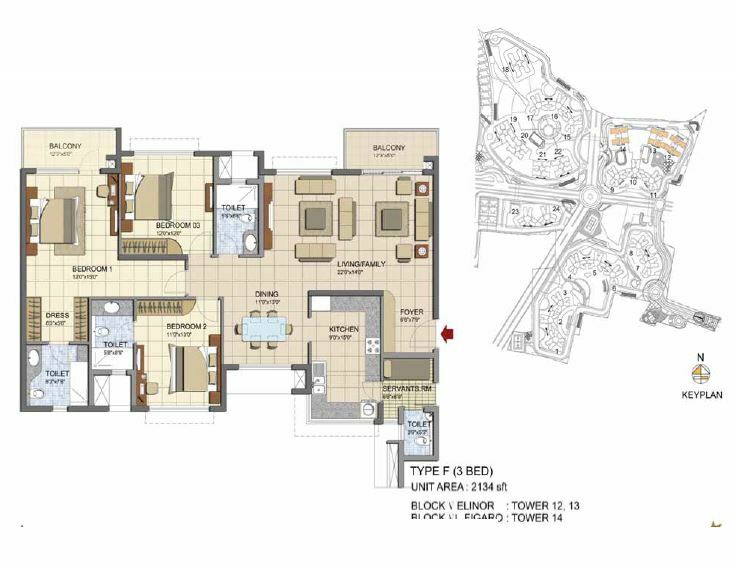 It has a combination of 2, 2.5, 3 and 4 Bedroom Apartments to pick and choose from. No, This project is not of Phased development. It is a one shot possession which happens in September 2018. Varthur Police Station is the nearest land mark. And the project is located opposite to chrysalis high School. 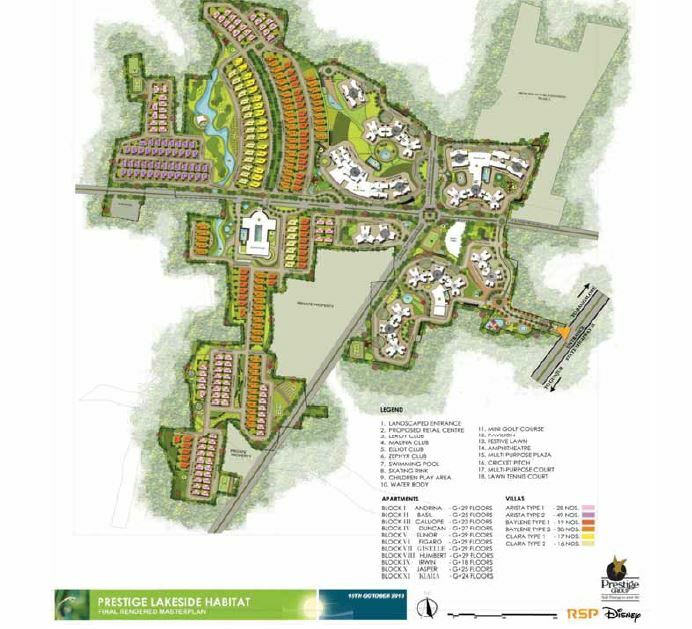 Project covers 102 Acres of development. Completion date will be April 2018. Including grace period possession will be in September 2018. The project will be completed in 4 Years along with grace period, from the launch date of January 2014. 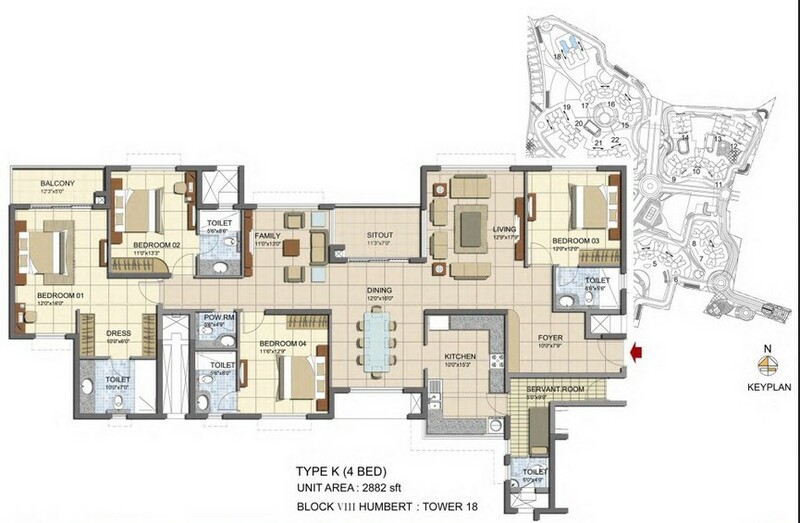 13) What are the different face available of 2, 2.5, 3 and 4 BHK? 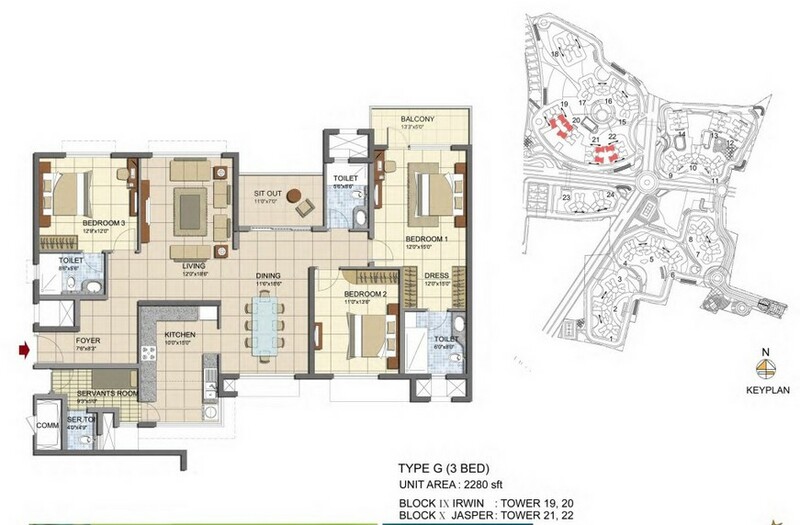 The 2, 2.5, 3 and 4 BHK units are available in North, South, East, West, South-East as well as North-East Facings. 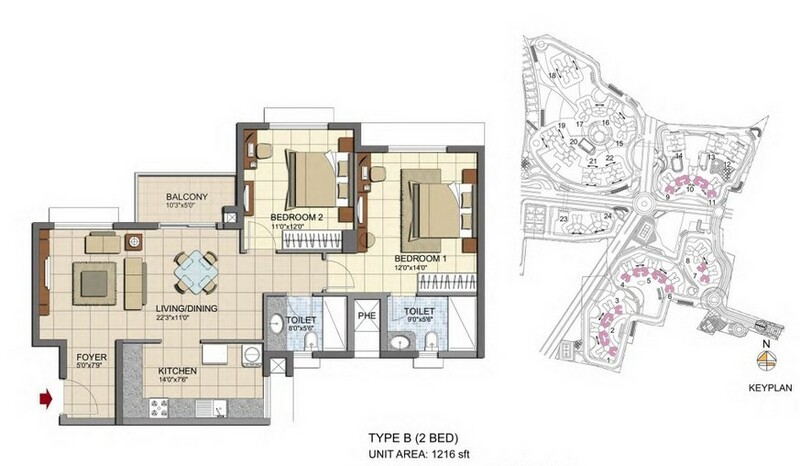 Yes, There is a differential pricing for apartments. For every floor, there is an increase of Rs. 15/- per sft. It’s a time bound Payment, where the commencement of the payment of 23 Installments is scheduled to starts by the month of April 2014. 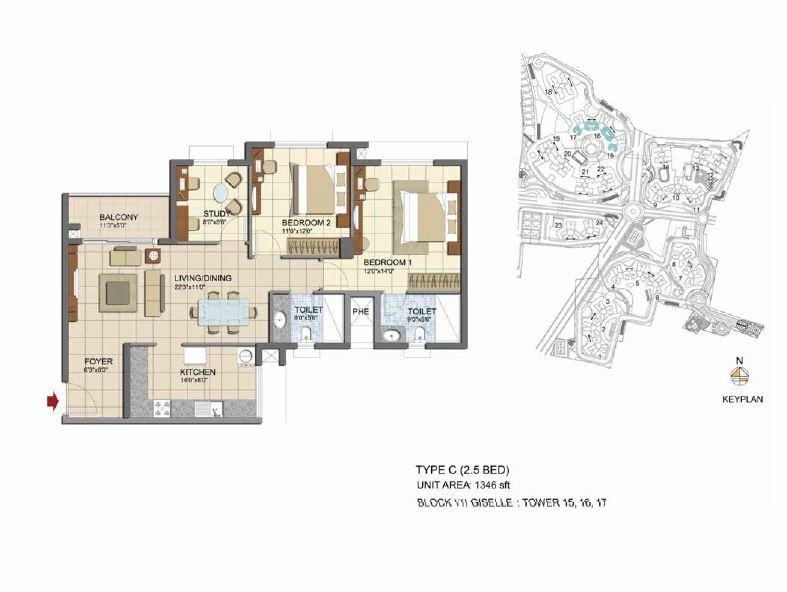 Construction has started from April 2014 and can move into new home at September 2018. The approval authorities are BBMP and BDA, the project is BDA approved. 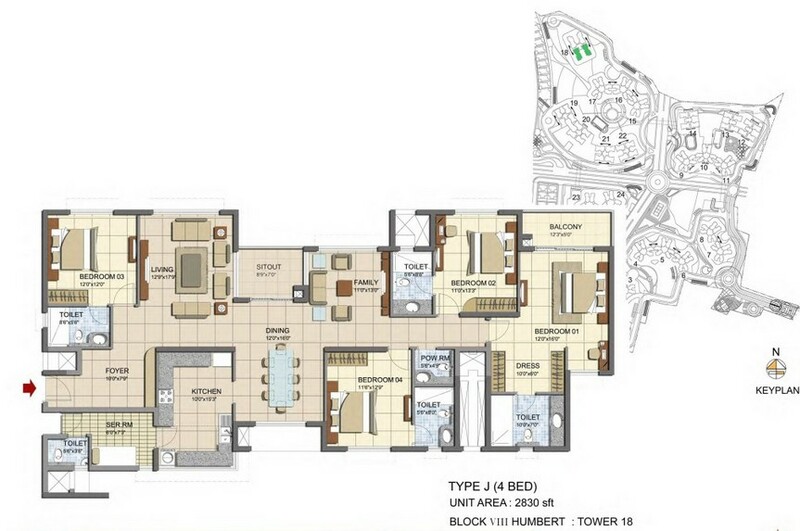 As this is the benchmark project for prestige, hence the maintenance will be undertaken by Prestige Group. The current rate per sft is Rs.5,040 and the price appreciation during possession would be around Rs 8000 per Sft. The height of the roof is 10.5 feet. The second car parking expenses will be charged during the time of possession. 6.4% of sale value can be considered for Service tax, VAT and registration all inclusive. It’s A’ khatta BBMP approved. No, The modifications cannot be done. Delay compensation would be 9% on the basic sale value. The Lock-in period exists till the payment of the amount in 5 Installments. Builder will not buy the units back. And transfer charges will be 100rs to 150 rs for apartment and Villa. No refund of the booking amount. Once agreement is done, its 1 % on sale value. Ample space is provided for car Parking. Registration will take place during the time of possession. Totally 3 lifts will be available in each tower, 2 passenger lift and 1 service lift. Ground water is the major source. After possession cauvery water connection is expected in the project. The upcoming development is the Peripheral ring road. Whitefield metro station is the proposed nearest station to the project. Jogging Track, Party hall, Swimming Pool, Children’s play area, Indoor Games, Squash Court, Badminton court, Tennis court, Club house, Gymnasium/Steam & Sauna.